After a long, cold winter, most gardeners eagerly await the sight of new blooms on their fruit trees each spring. But we all know that Mother Nature has a mind of her own. 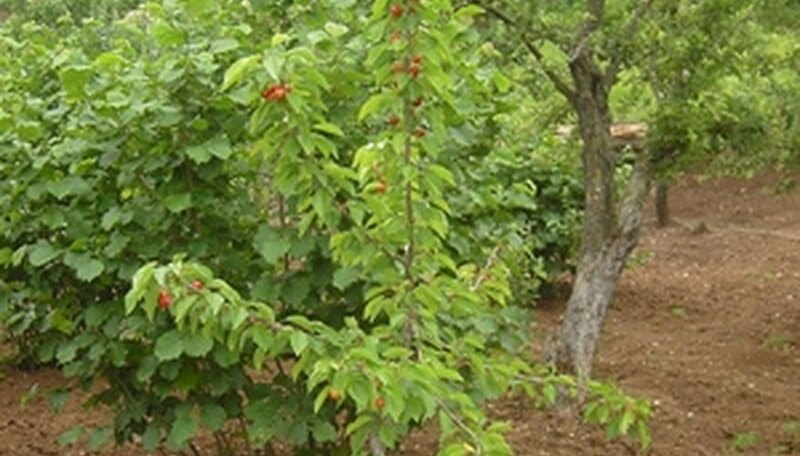 A late spring freeze can wreak havoc on young trees and destroy delicious crops. This can be devastating mentally, physically and financially. Fortunately, there are a few things that you can do if freezing temperatures threaten to harm to your fruit trees. Cover all of your dwarf or young trees by draping an oversize blanket or plastic tarp over the tree. Do this just before the sun sets so there is still heat that can be captured. Begin at the top of the tree and drape the material loosely over it. Do not bind it tightly or allow it to crush small branches. Cover as much of the taller trees as possible. If the tree is very tall, you may only be able to cover the lower branches with a tarp or blanket. Try to shield the southwest side of the tree from wind, if possible. Wrap the blanket loosely around the tree trunk but leave space for air to flow through. Place 150-watt heat lamps under the coverings. Do not allow the material to touch the surface of the lamp. Space the heat lamps evenly throughout the tree. One or two lamps should be fine for trees that are under 6 feet tall. For taller trees, use one lamp for every 4 feet of height that has been covered with blankets. String Christmas lights throughout the tops of trees that were too tall to be completely covered. Try to place the lights in the area of the tree that will be exposed to the night freeze. If you cannot get to the top of your tree to place the Christmas lights, wrap the lights around the trunk and lower branches. You can use any type of Christmas lights, including icicle lights and the blinking style. You can even use electric candles or light-up yard ornaments. The idea is that the lights will produce enough heat to protect the tree from freezing. Fill several 1-gallon jugs with hot water, leaving about 1 inch at the top for expansion. Place at least two jugs at the base of each tree. Do this just as the sun is setting for maximum effectiveness. As the water from the jugs evaporates, it will rise and act as an insulator for the tree, protecting it from cold temperatures. Remove the coverings and lights from the tree the next morning once temperatures have risen above freezing. This is important because the tree will absorb its own heat throughout the day to produce photosynthesis. If temperatures are expected to dip again, repeat the process until all danger of frost is past.